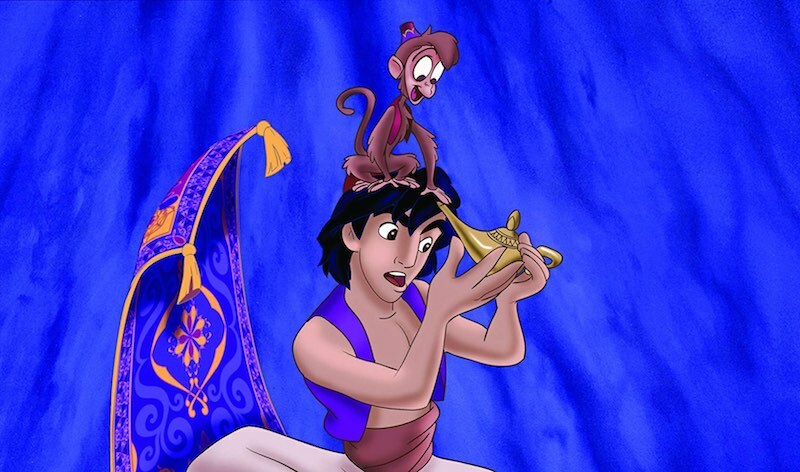 Looking for Positive Life Lessons in Disney's Aladdin? Good Luck. If you want your kids to learn dodgy life lessons and behave badly, Aladdin should be your go-to movie. I was a 15-year-old geek when Aladdin came out. It was the height of the Disney Renaissance, and I had a super sweet boyfriend to daydream Disney princess daydreams about while listening to that dreamy Peabo Bryson song and doodling hearts all over my diary. For four solid months, I wore my waist-length hair in a high, thick ponytail inspired by Jasmine in the Cave of Wonders. It was the perfect bubble-gum teen romance for a dreamy little Disnerd unconcerned with what life lessons Aladdin may hold, bad or good. In the 473 or so times I rewound and replayed that VHS tape, I was too busy crushing on a freakishly nippleless cartoon prince and developing a lifelong obsession with harem pants (they’re so billowy!) to stop and think that Aladdin makes absolutely no sense whatsoever. But with motherhood comes reflection, and grating frustration and cynicism have replaced the dreamy romance of my teen years. As my own children rewind that busted-up original not-PC VHS copy of Aladdin over and over and indeed over again to the pain, I’ve gradually come to realize what an absolutely bonkers film Aladdin is. From the inexplicably sentient carpet to Aladdin’s kleptomaniac primate, there’s a lot to unpack in this 1001 Nights reboot. With a live-action Aladdin due out in May 2019, I’ve been thinking lately more than I should about all the dodgy lessons my kids are getting out of this installment of Disney movie magic, and here are the worst. 1. The whole world is just one big old parkour game. If I had a dollar for every time I had to shout the phrase “No indoor parkour!” I’d be able to replace the front window in my living room someone broke whilst the floor was lava. Thanks, YouTube. But no matter how much I tell my children not to disembark the sofa via the coffee table, it certainly doesn’t help to have the magic of Disney glorifying the world champion of parkour himself leaping around Agrabah. When my kids parkour around the house, they leave a wake of destruction the likes of which few have seen–a disassembled shelf of board games, fallen stacks of laundry, spilled beverages. 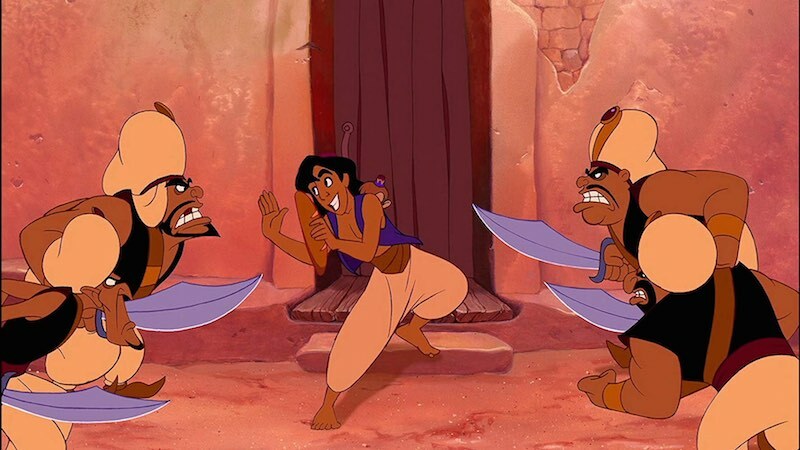 As it turns out, Aladdin’s antics are even worse. He pulls down an entire community’s laundry, steps on people’s heads, knocks down kiosks, and that’s just for starters. Aladdin is every mother’s worst nightmare–laughing, dancing, and singing while his negligence causes actual bodily harm to strangers who were unfortunate enough to not move out of the way fast enough. He invades the privacy of several young girls by hopping into their bedroom window, lays waste to an entire market, and even causes a guy to swallow actual fire. Diamond in the rough? Try diamond in the county detention center. SMDH, Aladdin. 2. Age ain’t nothin’ but a number (apparently). Of all the things that haven’t come out of the “How well have you aged challenge” smelling like a rose, Disney’s ideas of romantic age-appropriateness is certainly one. It’s pretty common these days to feel some pretty deep cringe when viewing depictions of couples’ ages in pre-Millennial media. From David Bowie’s immortal goblin king skeezing on 15-year-old Sarah in Labyrinth to the problematic relationship roots of Indiana Jones and Marion (remember when Marion shouted, “I was a child! I was in love! It was wrong and you knew it!”), for some reason until recently we were all pretty okay with girls barely over playing with Barbies hooking up with full grown adult males. Aladdin is brimming with pairings and interactions that range from questionable (although they’re fairly close in age, Aladdin is technically an adult dating a 15-year-old) to downright inappropriate (Jafar lusting after Jasmine, older women thirsty for Aladdin). But really the most troubling of all is how eager the Sultan is to marry Jasmine off to the full-grown adult suitors who keep coming to the palace. No wonder Rajah keeps biting those sketchy dudes coming up in his palace trying to score a child bride and all her wealth. Gross, man. 3. It’s completely fine to run off with an absolute stranger. Perhaps the most patently frustrating thing about Aladdin is how utterly oblivious Jasmine is. I get that she’s been trapped in a palace living a very limited celebutante existence for far too long. But after immediately almost getting her hand chopped off in the city, Jasmine follows a guy she’s never met to his home in a remote and abandoned location and then takes food from him. Lest we need reminding, at this point, she doesn’t even know his name. In the film, they share a charming moment together and everything is fine, but in real life, that’s exactly how you end up in situations that could possibly lead to the need for trauma counseling. When the guards come to take her in, she grabs his hand and blindly jumps out of a window, plunging far below into a fluffy pile of grain storage. She got lucky; for all Jasmine knew, this stranger could have easily been the kind of mentally unstable person who goes around stealing and damaging public property. After they’re picked up by the guards, as far as Jasmine knows, she got the stranger killed. And yet somehow that’s not enough to keep her from running away in the middle of the night with a literally identical stranger with slightly nicer clothing. 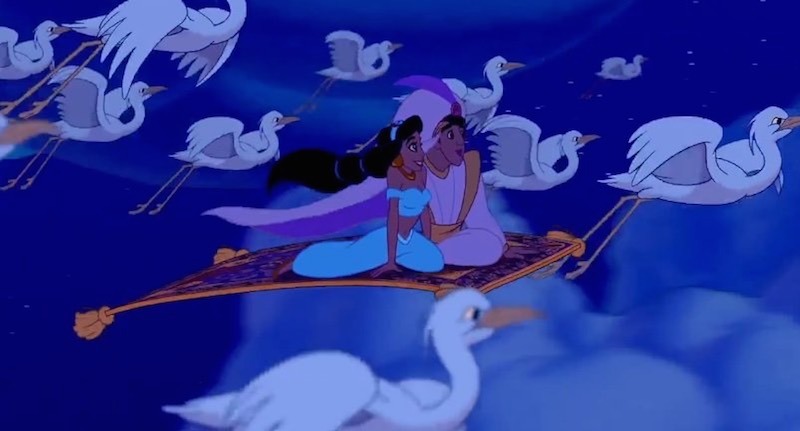 Inconsiderate, impulsive, and oblivious, she and Aladdin a perfect match. They’ll make terrific monarchs someday. 4. Toxic boyfriends can totally change. If we’re being completely honest, the only reason any of us like Aladdin is the story directs us to buy his POV. Aladdin is basically a terrible person. He’s actually the very definition of a toxic boyfriend. To begin with, he’s a total parasite. He’s poor, but that’s really not the problem in and of itself. Aladdin runs amok singing about how he’s “gotta steal to eat, gotta eat to live” but it seems like there are plenty of working schmucks down in the marketplace. You can’t tell me no one in Agrabah needs help lugging their goods to market. 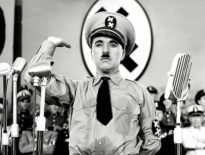 Crazy Hakim seemed to be virtually drowning in manure–I bet he could use an extra hand. But then this dude meets a young lady who admits she’s supposed to get married and immediately puts the moves on her in the privacy of his bachelor pad–right in front of the monkey, no less. I shudder to imagine where things would have ended up if the palace guards hadn’t burst in just as he was going in for the big one (although Rule 34 tells me there’s probably some fanfic out there somewhere that covers it). But that’s not the end of his heinous deeds–and indeed, it’s only the beginning. After accidentally stumbling onto the world’s best score in the form of the magic lamp (because let’s face it, if he was a better thief, he would have just stolen one expensive thing to begin with and retired instead of tormenting the shopkeepers), Aladdin slides right into the master-slave role with genie as easily as sliding into Jasmine’s DMs. At this point, he could have used his newfound wealth to set up his own palace somewhere and then come clean with Jasmine and her father about everything, knowing full well that Jasmine is an independent woman and if push came to shove, they could always just run away again. But instead, he continues squatting in a cave, bringing a literal parade of toxic masculinity symbols to the palace where he immediately brags to her father about how he will win her over, which she overhears and angrily responds to. Instead of sending flowers or apologizing, toxic fanboy freaking stalks her, flying up to her bedroom on his subservient carpet and entering her room without consent. When she recognizes him, he has a chance to completely fess up, but Aladdin straight up gaslights her, allowing her to think the boy she almost made out with in the marketplace is dead. That’s messed up, bro. If that wasn’t bad enough, he manipulates her by agreeing that she’s not a prize to be won and then dramatically steps off the balcony, making her feel terrible. Preying on her guilt, he talks her into checking out his sweet ride where he absconds with her to Egypt, Greece, and even China. When Jasmine calls him out on his BS, he doubles down on his lies. The whole thing plays out like a Lifetime movie about the warning signs everyone missed. If nothing else, Aladdin is a classic reminder of that age-old Shakespearean lesson: The only thing more horrible than teenagers is teenagers in love. Whether they’re running away together, manipulating each other, or subjugating other sentient beings, from Agrabah to Verona, teenagers can be the worst. I can’t wait to see which inappropriate Aladdin moral lessons will make it into the live-action film for us to cringe over in three more decades when we’re all even more woke than we are today. In the meantime, Disney here’s a simple request from an exhausted mom: Ix-nay on the arkour-pay.